The seminar was of value. I knew quite a lot already before about Japanese culture but nevertheless there were new insights. Yoshiko’s workshop was simply well balanced and deeply interesting for all our colleagues. Yoshiko’s cross cultural training opens a window on the world. Samuel Barrois, General Director, CEO, Pelichet NLC S.A.
Yoshiko Kurisaki’s workshop “Inside a Japanese Head“ was truly enriching. It attracted both European and Japanese participants from a range of industries and professions. The lessons learned, as well as the exchange between participants, were thought provoking and eye opening. I learned many things of great value to me, not only for better understanding the Japanese culture, but also for my own awareness of myself when working in a Japanese environment. I strongly recommend this workshop as a worthwhile learning experience. Learning about Japanese business culture is not only understanding do’s and don’t do’s but trying to smell the air. 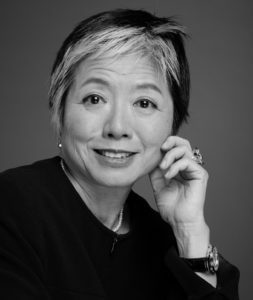 With her broad experience living in Switzerland and Japan and working for various organisations, Yoshiko has the ideal fit to moderate cross-cultural workshops. The recent workshop proved very helpful on the way to a better understanding of Japanese society and also in understanding how the Japanese perceive the Swiss – a crucial dimension for a successful business relationship. The workshop Yoshiko provided on business culture in Japan helped me very much for my first business travel there. A number of advice Yoshiko provided was practical but supported by insights on the Japanese history and culture. I’d recommend Yoshiko’s workshop to all who work with Japan. I learnt a lot during our meeting, and have already a lot to improve myself, if I want to have the opportunity to make business with Japanese ! Many thanks for your presentation, I was really impressed and opened my eyes even more for better understanding of Japan and its business culture. L’expérience « Moshi moshi Japan » m’a permis le temps d’un instant, l’immersion dans un Japon qui m’est cher à travers la rencontre de Kurisaki Yoshiko et la découverte de personnes intéressantes. La communication et le partage sont à mes yeux nécessaires à la compréhension de notre monde. Merci de nous en avoir fait profiter.